From then on go to the website of Welt or use their app if supported. Please see supported devices between Welt and Unlocator at the bottom of this page. Welt is a German television news channel and website. It offers live streaming, documentaries, sports coverage, and access to Die Welt magazine. 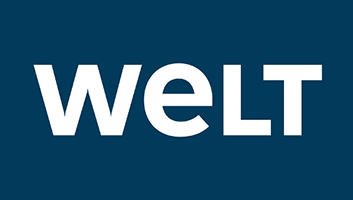 Unfortunately, videos on the Welt website are only available for German residents. However, if you make use of Unlocator, you can access Welt in the US, UK, Canada, Australia, and elsewhere abroad. The error states that your video is not available please try again later. That’s simply because the channel has determined where you’re streaming from and blocked you on the spot. Nevertheless, if you’re a fan of programs like World of Miracles, World Drive, Vision Gold, and live sports events, Unlocator can grant you access to all this library regardless of where you might physically be. It simply spoofs your online location so that you appear to be browsing elsewhere, in this case, Germany. By changing some of your internet URLs that help determine your whereabouts, Welt won’t be able to pinpoint your location anymore. As a result, you’ll have full streaming access to what the channel has to offer. Neither your public IP address nor your Internet speed changes while unblocking the streaming service. This, of course, has its advantages as you get to watch Welt in your home region without tampering with your local channels’ access. Setting up Unlocator is pretty simple. All you have to do is sign up for a free Unlocator trial and follow the setup guides based on the platform you’re operating. Once done, you will be able to access your favorite geo-restricted content regardless of where you currently live.